The lnternational Cinematographers Guild (ICG, IATSE Local 600) Publicists announced and honored winners of its 55th Annual ICG Publicists Awards at the Beverly Hilton Hotel. Get Out (Universal Pictures) won the top honors for Best Publicity Campaign for Motion Pictures, and Stranger Things 2 (Netflix/Wonder View) earned distinction for the Best Publicity Campaign in Television. This year’s luncheon, which traditionally occurs the week leading up to the Academy Awards®, was chaired by Henri Bollinger and co-chaired by Tim Menke. More than 900 industry leaders attended including guild members, Hollywood public relations and marketing executives, producers, studio and network executives, celebrities and press. Actress and comedian Cloris Leachman, co-star on The Mary Tyler Moore Show and longtime friend, accepted a Lifetime Achievement Award on behalf of legendary actress Betty White, who could not be present. Actor/director Andy Serkis (Black Panther, War for the Planet of the Apes, Star Wars: The Last Jedi), who flew in from England for the event, was presented with the Motion Picture Showman of the Year Award by director Matt Reeves (Dawn of the Planet of the Apes, War of the Planet of the Apes). 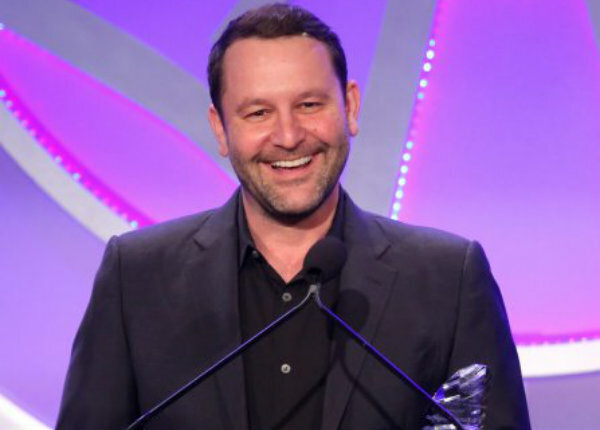 Dan Fogelman, creator and executive producer of This Is Us, received the Television Showman of the Year Award presented by This Is Us actor Milo Ventimiglia. Scott Garfield and Jennifer Rose Clasen received awards for Excellence in Still Photography, respectively, in motion pictures and television, presented by John Bailey, president of the Academy of Motion Pictures Arts and Sciences (AMPAS). The Les Mason Award was bestowed upon Jan Craft, executive director of publicity, Warner Bros. The International Media Award was presented to Alex Zane (U.K.). Carri McClure received the Bob Yeager Award for Community Service. And Mike Fleming Jr. of Deadline was honored with The Press Award. Also attending the ICG Publicist Awards were Mike Miller, International VP, IATSE, and Eddie Avila, ICG national secretary.